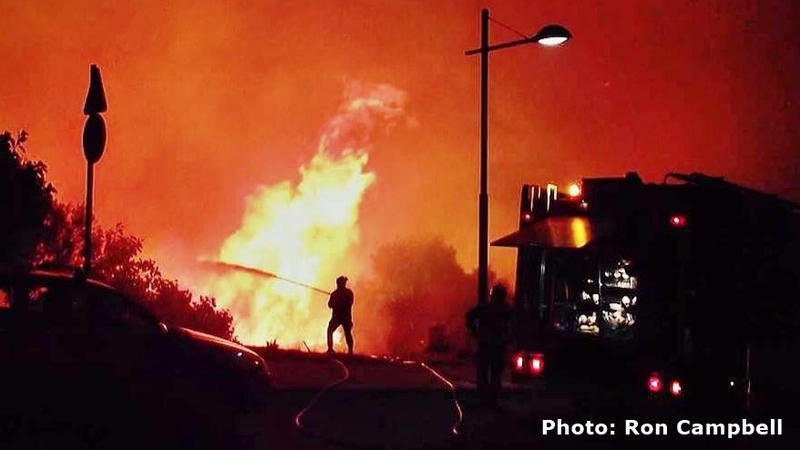 Recently many people have expressed admiration at the work of the emergency services in dealing with the huge bush fires that plague us during the summer months, this coming to a head with the massive blaze in Manilva that led to the evacuation of 400 residents and tourists, all without one single injury. There have been calls by many, particularly local resident Bruce Lavelle on Manilva Coffee Chat, to ‘reward’ these brave people in some manner and with this in mind a number of representatives of the various branches of these services have been approached to see how best we can offer our heartfelt thanks. There are a number of issues that make this somewhat complicated. Firstly there are several bodies that combine to tackle these blazes: the Infoca wildfire specialists, the fire departments of a number of towns, Civil Protection, Local Police, Guardia Civil, the seaplane, helicopter, and light aircraft crews, some of whom are private contractors, Environment Officers, Forensic Fire Investigators, the list goes on, most of whom are not permitted to accept cash donations. Another issue is that they come from as far afield as Granada, Seville and Malaga so laying on some kind of meal or celebration would be nigh on impossible, but what their general response was that all they really wanted was people’s appreciation and gratitude. A meeting was held, hosted by Manilva Coffee Chat admin and President of the Duquesa Charitable Society of St George, Dean Shelton and attended by Bruce Lavelle, Gary Beaumont from The Resident newspaper, and Joni Burnett, a Princesa Kristina resident and Regional Representative for Estepona Manilva and Casares for the College of Chartered Community Administrators of Malaga and Melilla, during which it was proposed to raise funds (through the Duquesa Charitable Society of Saint George) to provide some kind of recognition be it a plaque, medal, etc., to be presented both to the stations, offices, etc., as well as the individual officers once a definitive list is compiled. We will also be making inquiries of what we can donate to improve their working environment, whether it be something as simple as a coffee machine, dartboard, or whatever else, for their recreational areas or offices. Initial responses from the various emergency services already approached has been very positive. These awards will be delivered by hand and there will be an opportunity for donors to join us at the presentations, and get a first hand glimpse at these heroes’ workplace. Finally, should enough money be raised, there is the germ of a plan to maybe erect a tribute to the emergency forces on one of Manilva’s roundabouts, but this is very much at the ‘seems like a great idea’ stage and may or may not come to fruition. Just to show the level of appreciation the community of owners at Jardines del Mar Mediterraneo have already pledged 1,000 euros!